- Provide #1 Absolute URL (https://seoclerk.com/ , and not seoclerk.com) and #2 Number of signals your URL already has - post a screenshot of the checker tool's results, or you can manually write them as you will see in the service instructions. If you don't post (2) then we will, meaning no complains will be accepted later! 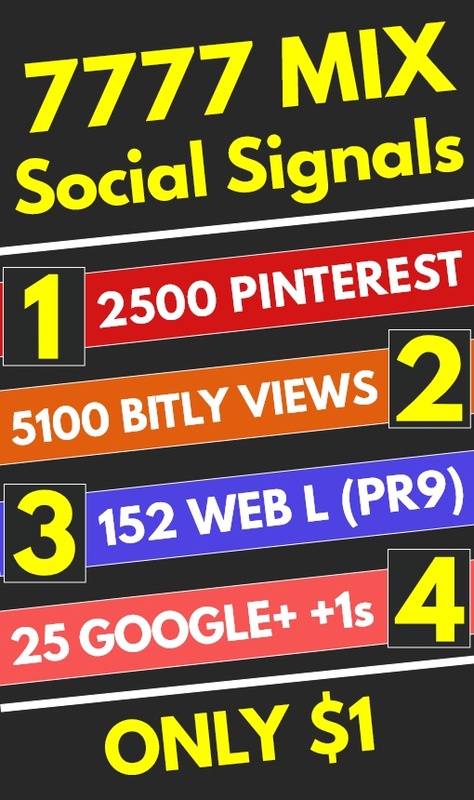 7777 Mix High Quality PR9 PR10 Social Signals Shares Bookmarks - SEO GOOGLE RANKING FACTOR is ranked 5 out of 5. Based on 51 user reviews.